This week’s blog post is focused on one thing: data. This is a week when I discovered my data driven mind might be almost data obsessed. I know this is more text heavy than normal but it was a big ah ha for me. My weight loss journey lasted a total of 18 months. 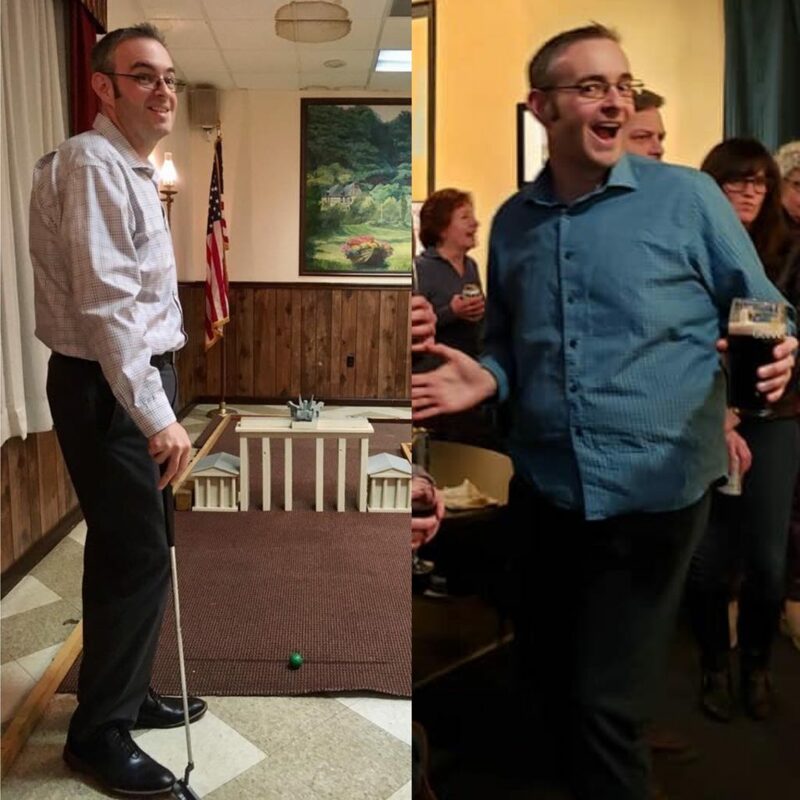 I kicked off in June with a goal of losing 100 pounds by the following June. 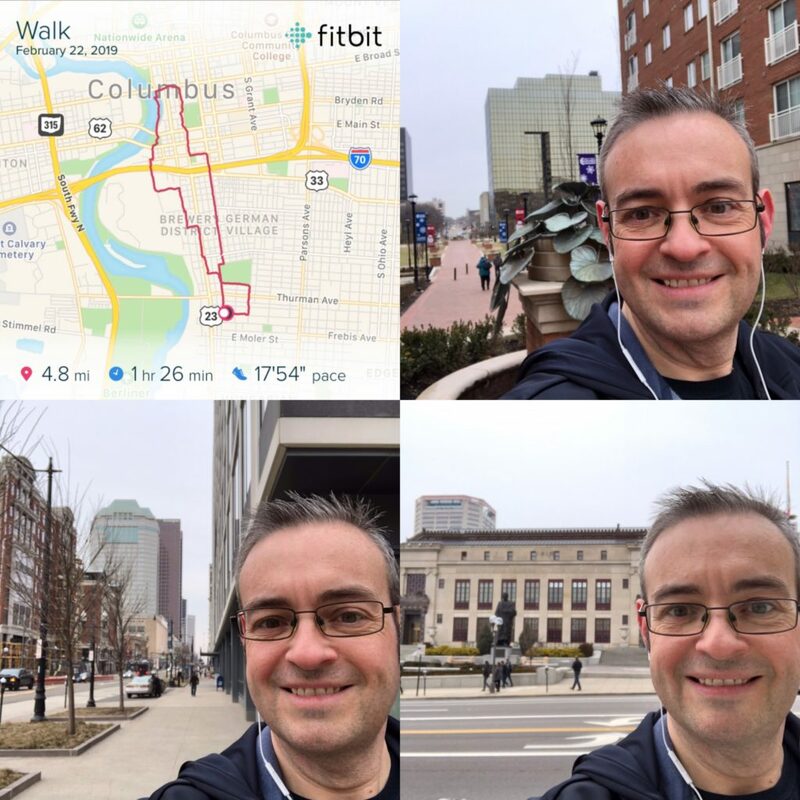 I reached the 100-pound mark by mid-March (hint: big anniversary coming this week) and I kept going. By the 1-year mark I had lost about 120 pounds (20% more than my goal) and I kept going. At the end of that calendar year I had the realization that I had pretty much lost all of the weight that I was going to lose and I brought my weight loss to a close after losing about 132 total pounds. My fitness journey continued but the weight loss phase was done. My weight loss journey was a phenomenal success. My achievements were greater than I had ever expected or thought possible. As I have said over and over again I owe this success to two things: data and project management. In my upcoming book, Operation Melt: How I Used Life-Changing Project Management to Lose Over 100 Pounds in Under a Year, I explain how I started my plan based on one of my favorite quotes. My entire plan was based around my ability to measure my progress towards my goal. I setup a framework using project management and tracked it every day. The data kept me going because that is how I am wired. I am data driven and motivated by results. 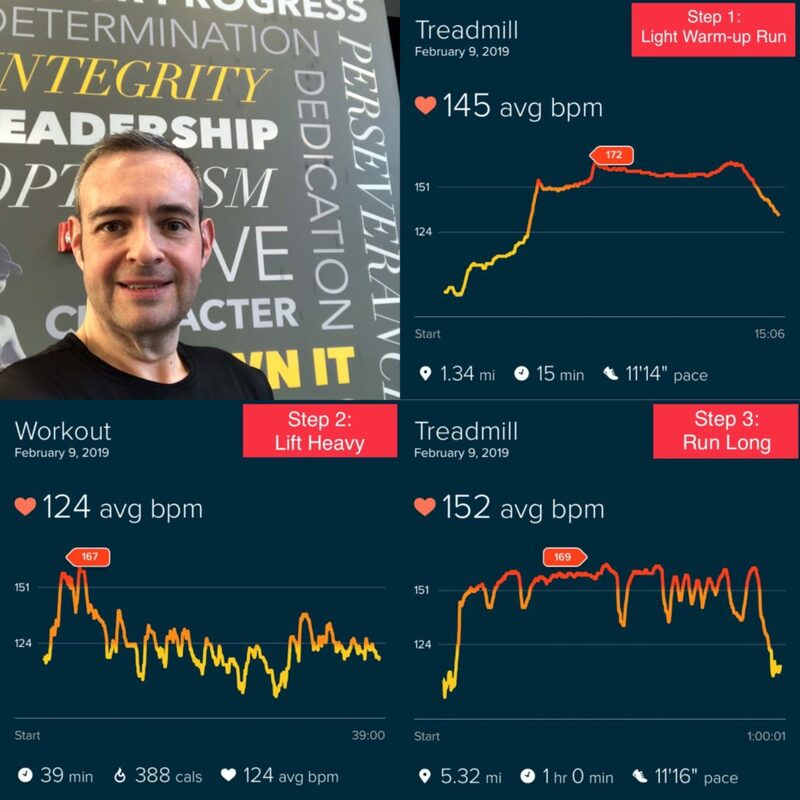 For 18 months I stepped on the scale every morning and saw weight loss almost every day.I had become accustomed to seeing results daily and the results were easy to understand: weight went down means good day, weight went up means bad day. On top of the data telling me how I was doing it told others too. Through my blog and social media I shared my updates, my milestones, my progress and publicly celebrated success. So much so that somebody once told me that weight loss had become my brand. It was who I was becoming – the formerly obese guy who sees his weight decrease daily. At the end of the year I switched to maintenance mode. My goal was to maintain a weight in the range of 189 pounds to 199 pounds. But in my head I expected to get down to 189 pounds which is where my BMI becomes “normal” instead of “overweight.” I hadn’t reached that point yet but fully expected to do so. Just under 3 months into the new year I have a data problem: I have gained weight. My weight has pretty much stabilized in the 198-199 range which is at the top of my target maintenance goal. But this is higher than I thought I would be, it is higher than my low weight and I never reached the “normal” weight range. After 18 months of seeing my weight fall I have now seen my weight increase. Here I am seeing my weight go up and I am feeling like a failure. But that isn’t the whole story. If I was paying proper attention to more than the weight I would have looked at this differently. I had reached a very low body fat percentage. My strength was increasing significantly. My muscle tone and definition has increased. All of these factors add up to tell me that my weight is increasing the right way: muscle. My muscle mass continues to increase as my training yields more success. This muscle mass has weight and it means I am a little heavier. Here I am getting frustrated by something that I should have celebrated as a victory. I have built a strong, athletic body and can do things I couldn’t do just a few short months ago. But I am feeling disappointed because my weight increased. She is right! I have turned a tool into the thing I focus on. I have let myself be defined, in my own brain, by a single measurement of success or failure. I let the quality of my day and my mood be defined by what the scale said. I became a little too obsessed with the data and not with all of the data, just a single measurement. Data is a beneficial and critical tool to achieving any goal. I will never discount the importance of data. I really believe Lord Kelvin: If you cannot measure it, you cannot improve it. How you look at data can be bad! I built a phenomenally successful weight loss journey without cutting a single thing out of my life and I did it through balance. Everything in moderation. Everything that I liked fit into my plan as long as I balanced it and looked holistically at what I was consuming and burning. You have to look holistically at the full situation and the balance of various data points to get a true assessment of your progress. If the numbers don’t tell the story I want one day, I just have to forgive myself and move on. Bad days happen. This journey is not a sprint it is a marathon and a life-long commitment. I can’t let a single bad number kill my momentum… particularly when it isn’t a bad number at all and is something to celebrate not mourn! 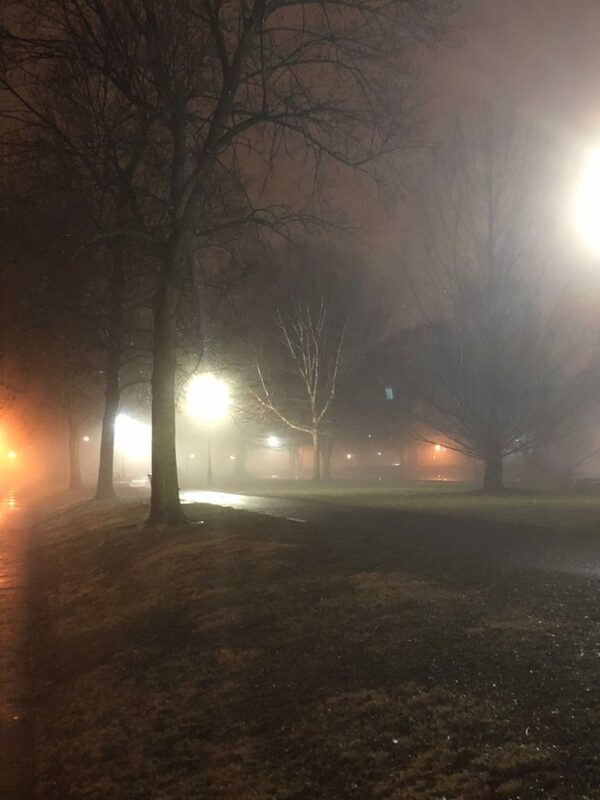 March is here and that means that there are more opportunities to go outside to pursue my fitness goals. 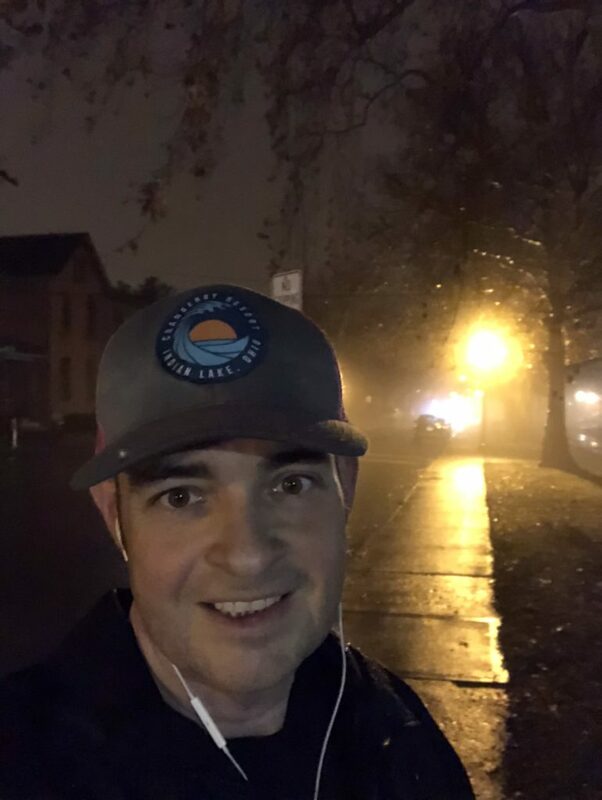 I am starting to ramp up my exercise after a little more after being a little lazy in the cold months. Don’t get me wrong, when I say I have been a “little lazy” that is still a pretty active lifestyle and not just couch time. 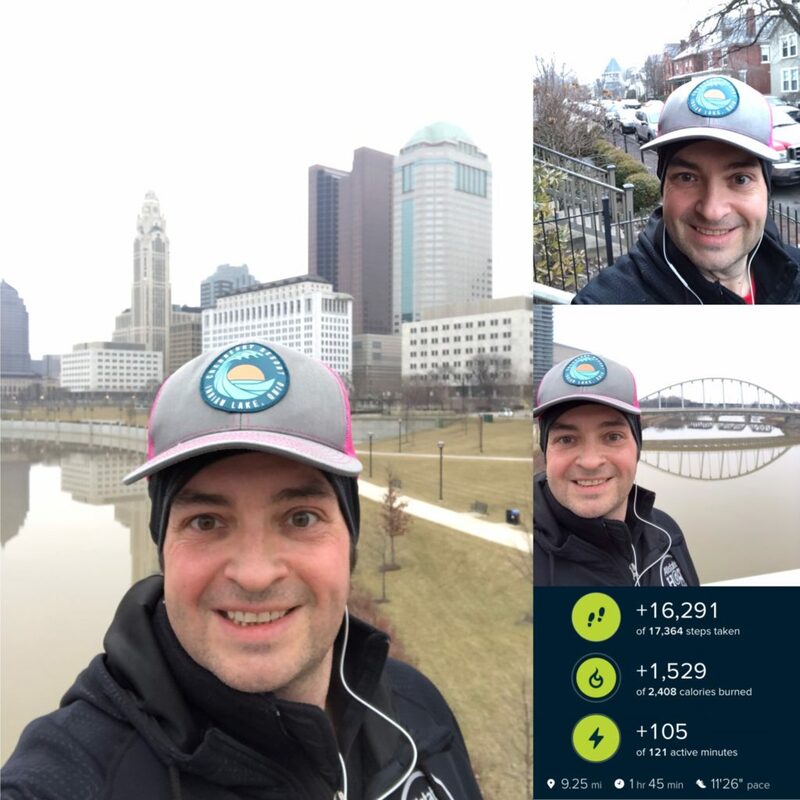 I am running in the OhioHealth Capital City Half Marathon on April 27. That is less than 60 days away and I have been working on ramping up my training. 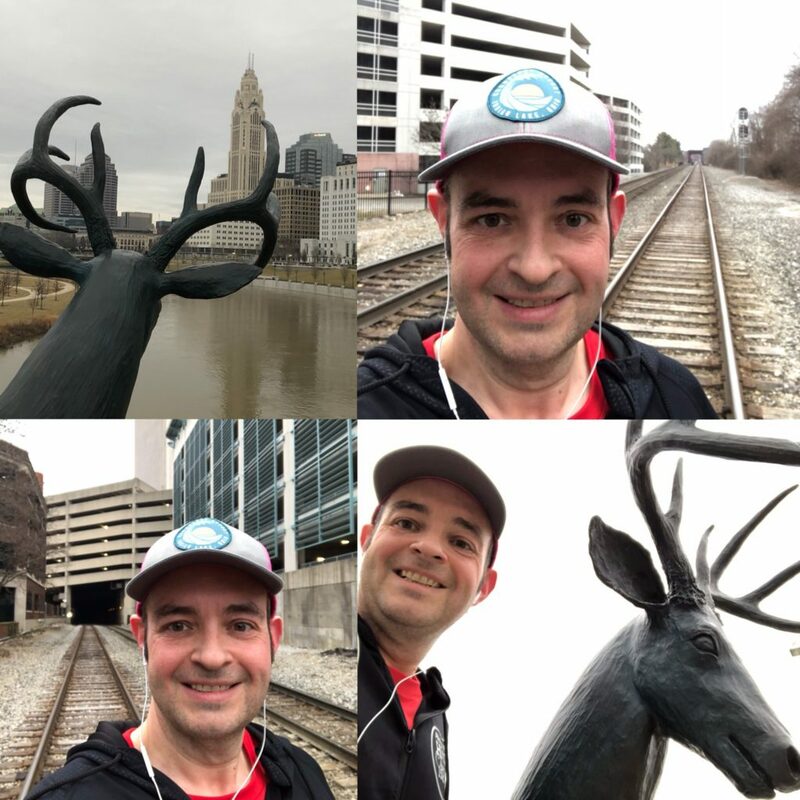 Last week I did my longest ever contiguous run at 8 total miles and 7 of them running. 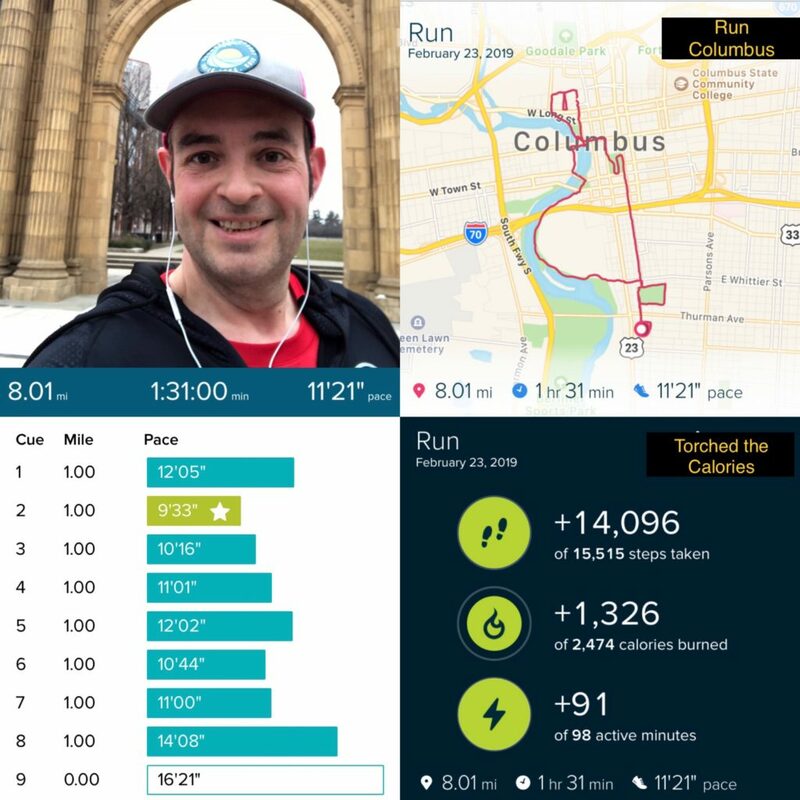 This week I ramped up the mileage a bit more and did a Sunday long run of more at more than 9 miles with the majority of those being running miles. 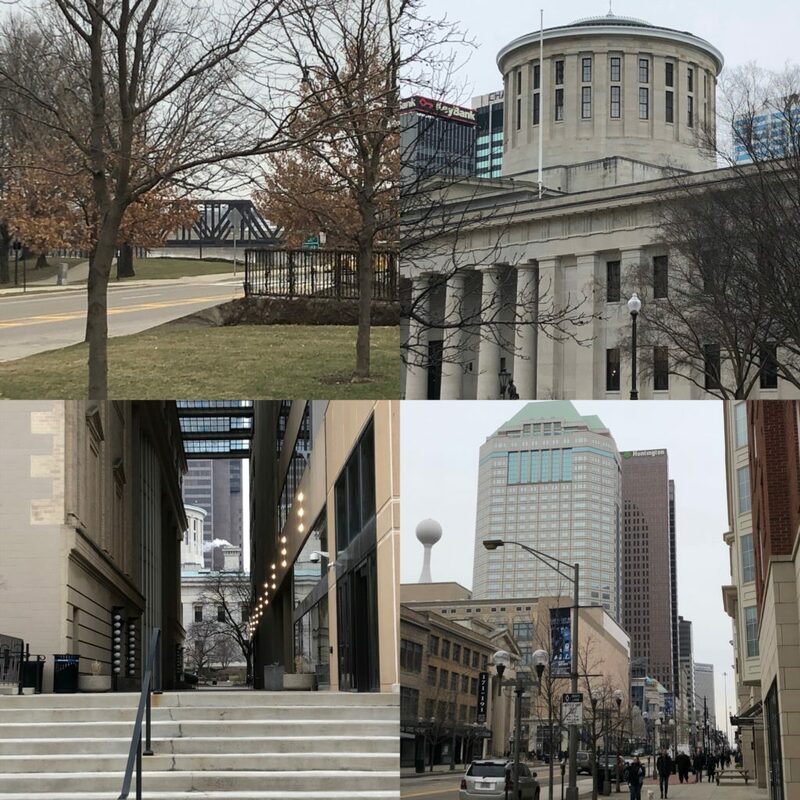 I love long runs through downtown Columbus because I get to see great views of the city and explore along the way. 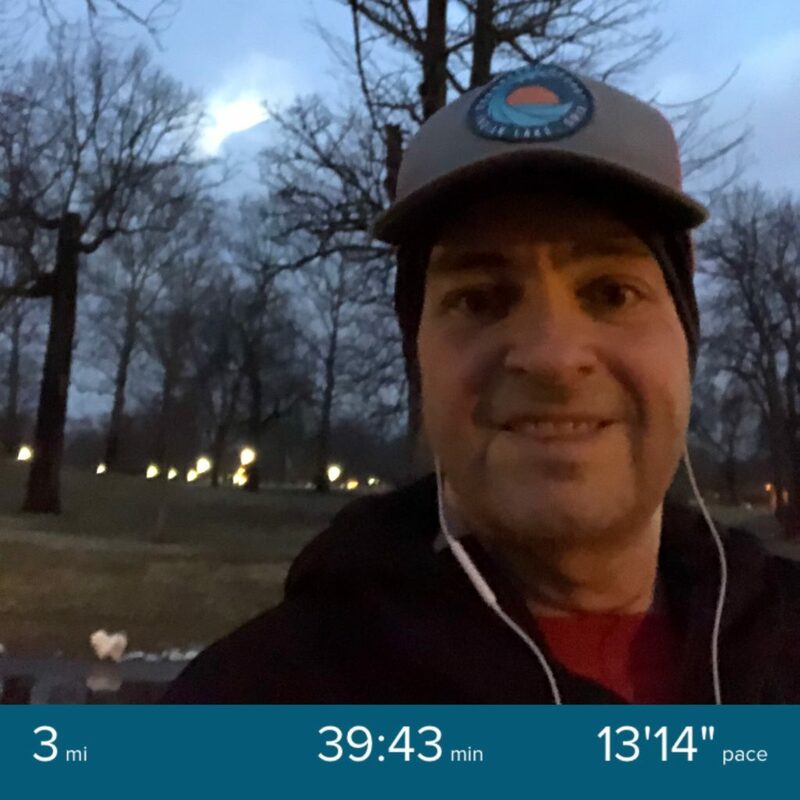 Over the coming weeks I need to continue ramping up the mileage until I hit a full 13.1 miles by early April. Right after that I will start to taper the distance and end with at least one rest week before the race. I have completed one half marathon already but that doesn’t make me any less nervous preparing for my second one. 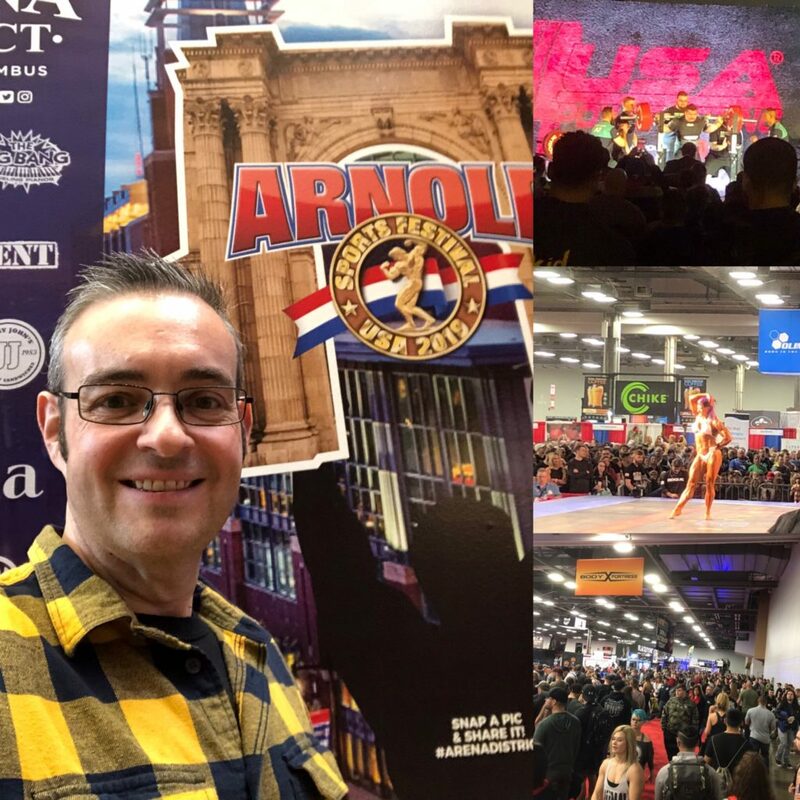 This week I went to the Arnold Sports Festival in Columbus despite saying last year that I probably wouldn’t go back because of the size of the crowd. This festival salutes sports and fitness in all forms but is heavily geared towards weight lifting and similar pursuits. It is a very popular festival, almost too much so, and I felt like there were about a million people there at the same time as me. While at the festival I walked the expo floor to check out equipment, methods and supplements that people were selling. I watched some competitions such as CrossFit Endeavor, Spartan Dash Obstacle Course, Ninja Warrior Course, power lifting and even pole fitness. Plus I had a chance to watch the end of one of the rounds of the women’s physique competition. I attend this festival as inspiration and motivation to do better and to set bigger goals. But one other thing started becoming clear this year – I need to decide what kind of body I want. Some of the super weight-lifter guys are huge masses of humanity and I don’t want that. That said, I do want to have an impressive body that visibly reflects my hard work. Tone and a little bulk are great but massive bulk is not for me. One thing attending the festival did do was to push me to get a pretty tough workout in the morning after the festival. I was waiting outside the gym when they opened and pushed myself pretty hard despite having a limited amount of time. 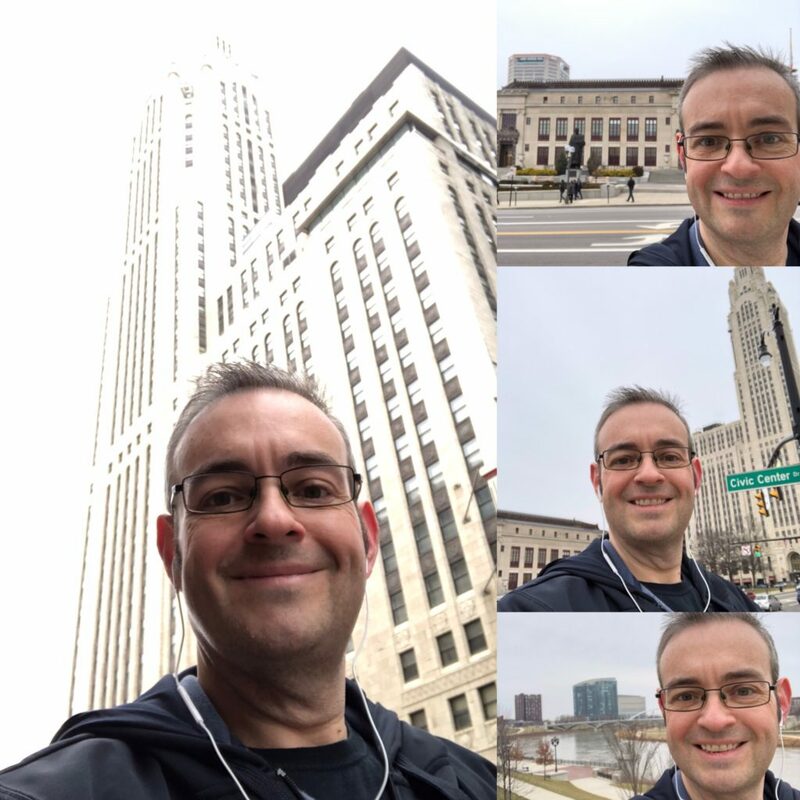 Then I pushed myself even further with a coffee walk after I finished my breakfast meeting. One last topic for this week is about judging our own progress. When I look in a mirror I don’t see a thin guy and I really still see that big guy who looked back at me for 40 years. The progress just happened so gradually that it wasn’t like I woke up one morning and was “thin,” it happened over a year. It takes a while for your brain to adjust to your new body. So I am a terrible judge of my own progress. Every once in a while something happens that really shocks me. Over the past couple of weeks these shocks have come on the form of pictures. Several pictures of me have been posted by other people as we have been participating in our annual Pub Golf Tournament. Here is an example of a couple of those. When I see these pictures I am absolutely shocked – and not just because of the funny faces! The guy in these pictures, particularly the one of the left, is not the guy I see when I look in the mirror. I don’t know how long it is going to take to get to the point where I know I am this guy but I am not there yet. I almost forgot… I went public about my book this week. In just a few weeks I will be releasing the book that tells my story and shares my approach. 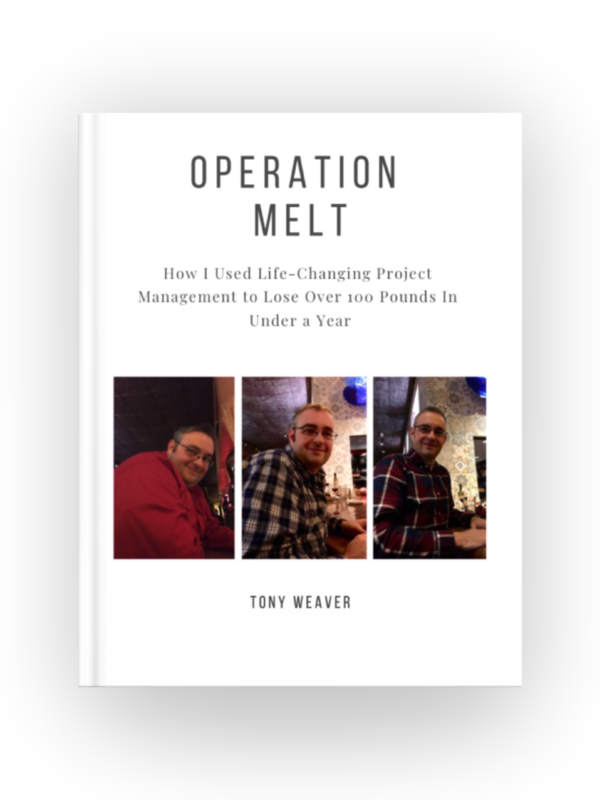 The book is called Operation Melt: How I Used Life-Changing Project Management to Lose Over 100 Pounds in Under a Year. If you want to be the first to hear updates including when the book is released please join my email list. 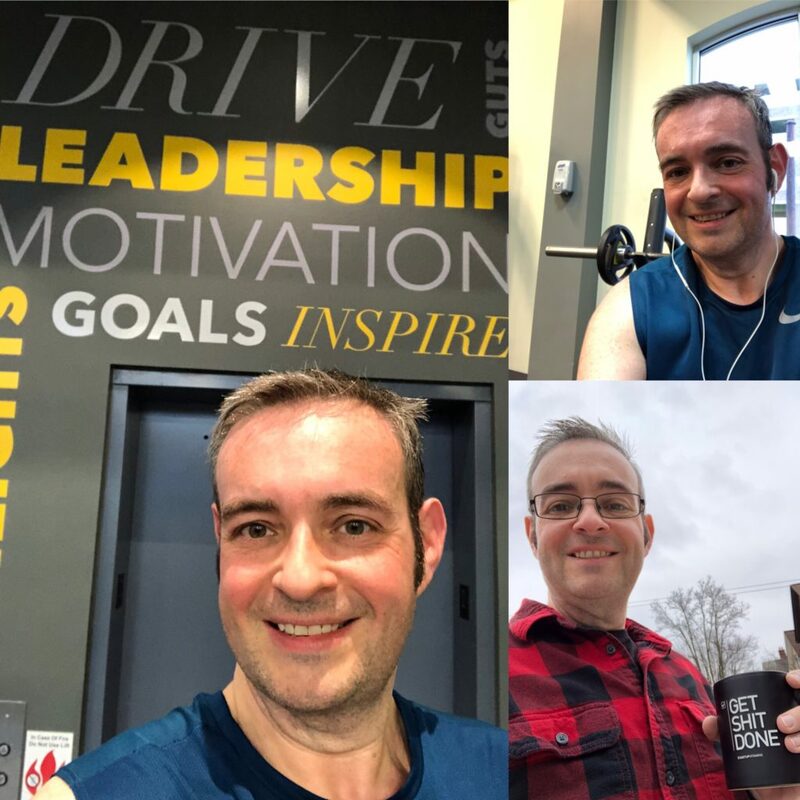 I had 2 lazy weeks followed by a week where I was back on track and this week was kind of in the middle. While I had a couple of solid workout days including a Sweaturday that burned over 1400 calories I had several days without exercise. The result was a week where I didn’t achieve all of my fitness goals. While I hate failing short of my weekly fitness goals I set my goals high enough that I still land in a healthy place. I have motioned before that my smaller and more fit body is more sensitive to some things. The best example is sodium. When I consume too much sodium it causes my cells to retain water and my weight to go up. This week was filled with higher sodium choices and a little more stress than normal. The result were big swings in my weight of up to 2-4 pounds up or down per day. Plus my resting heart rate was elevated a little at 61 beats per minute instead of my normal mid-50s. There were several mornings where my weight was temporarily over 200 pounds only to be in the mid 190s the next day. These experiences absolutely reinforce that I am at my minimum weight now. In short this week was a health rollercoaster ride. While I am very focused on and motivated by numbers I can’t let myself become overly focused on them. At this stage in my journey an excessive focus on the numbers could turn my daily mood and self-image to fluctuate as fast as my weight. It took me a while to reach this stage in my journey but I am happy to say I am definitely more than the numbers.